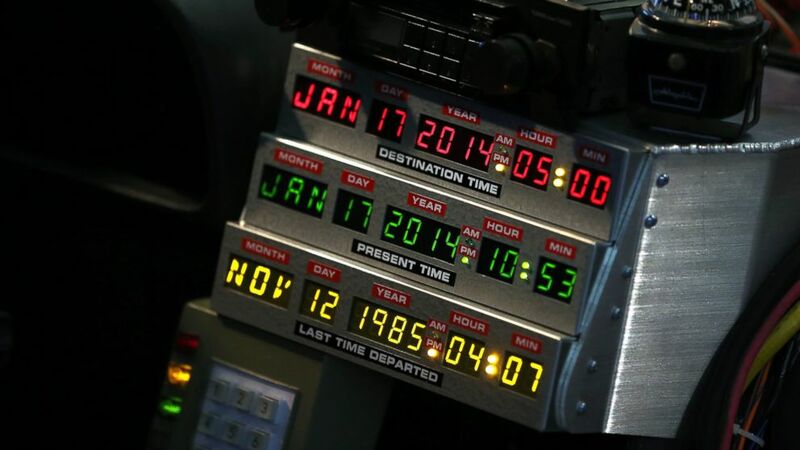 Marty McFly traveled to 2015 in the 1989 film "Back to the Future: Part II." When Marty McFly was sent 30 years into the future as part of the plot in "Back to the Future Part II," he arrived in a time when where there were hoverboards zipping around, people wore self-lacing shoes and flying cars were the norm. The date? It was Oct. 21, 2015. Sure, there was a lot of the film got wrong about 2015 - but there are some things it got right too. 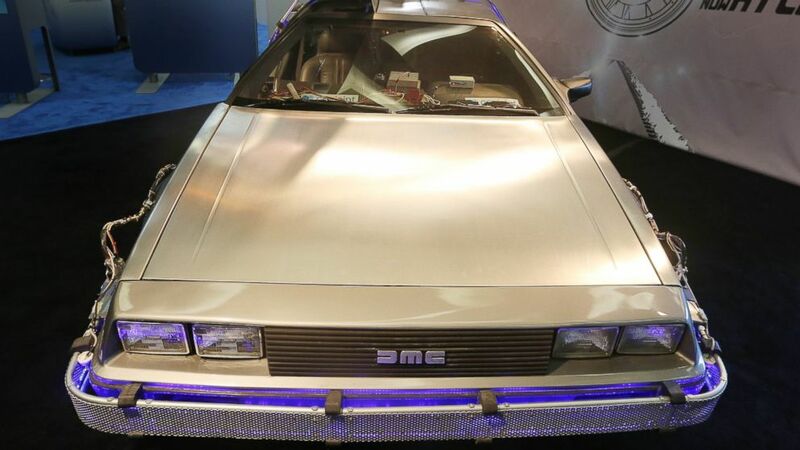 (Steve Russell/Getty Images) The DeLorean DMC-12 from "Back to the Future II" is pictured in Detroit on Jan. 14, 2014. "Nobody calls me 'chicken,' Needles," an older McFly says to Douglas Needles via a screen before scanning a card remotely. "Nobody." While people are identified when their eyes are scanned in the film and other biometric technology, today people can use their fingerprints to unlock their iPhones or check into a 24 Hour Fitness gym. In the film, Marty McFly gets a fright on the street by a 3-D "hologram" of "Jaws 19." In the "Jaws 19" scene, McFly sees an ad for Wilson Hover Conversion Systems in which "now you don't have to worry about traffic" with "skyway flyers" for $39,999.95. We don't have quite the same hovercraft today and even in the movie, they had limitations: "Hey McFly, you bojo, those boards don't work on water!" (Steve Russell/Getty Images) The interior of the DeLorean DMC-12 from "Back to the Future II" is pictured in Detroit on Jan. 14, 2014. But in August, Lexus said it's testing its own prototype Hoverboard that works over a magnetic track. The 5-year old in us still wishes for this. Last year, Nike shoe designer Tinker Hatfield said he hoped self-tying sneakers might one day become a reality. 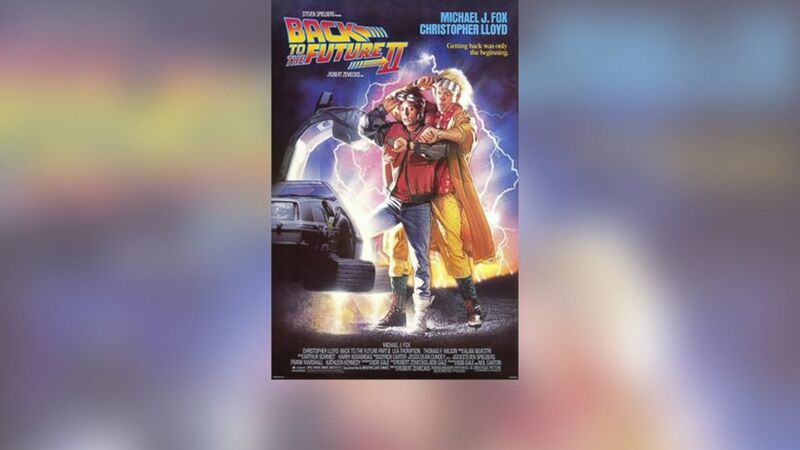 (Amblin Entertainment/Universal Pictures) The promotional poster for "Back to the Future II" is pictured. Though fax machines and phone booths seem to be widely used in McFly's future, cell phones and email have all but replaced their use today.